Your Nickel's Worth: Cure your Rosacea Condition with Cucumber! In 1597, a well-known English herbalist named as John Gerard researched thoroughly about cucumber and then he revealed that we can use this for the cure of Rosacea. He mentioned that cucumber has the abilities to cure this skin disease and from that time people suffering from this disease are using cucumber to get rid or get over this ail. 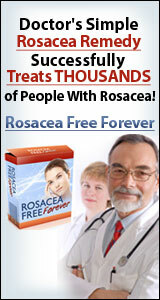 So, we can say that this vegetable is the cool and simple remedy for the cure of Rosacea. Now, I will discuss some crucial benefits of cucumber along with its properties that are good for health as well as to cure Rosacea and other skin disorders. Cucumber is primarily composed of water that's why it acts as a cooling agent to the skin and whole human body. Actually, the best part of cucumber is that it has Vitamin A, C, E and Caffeic acid. All of these vitamins are very good for ski and helps blood cells to freshen the skin. That is why doctors and skin specialists suggest placing cucumber slices on the affected areas is a good practice to cure skin disorders. These are the basic uses and benefits of cucumber and I am sure that you might be thinking about the use of cucumber to heal Rosacea. Well, a cucumber can be used in many ways to lessen the itching and swelling of skin. First use is to puree the cucumber slices mix them with three to four table spoons of pure natural yogurt. Now, apply the mixture thoroughly on the affected parts of skin just like a face mask. After applying it properly on the affected areas try to give a break of ten minutes to your routine work and lay down. After ten minutes, wash the affected parts with pure cool water. Another effective use to cure Rosacea is to put cucumber slices on the affected parts and lie back for 10 -15 minutes. This practice helps to reduce the reddishness and swelling of the affected areas. Usually, such type of method is used to cure Ocular Rosacea. Apart from this method, there is another technique to enhance beauty adopted by Cleopatra. Experts suggest that this technique is also helpful to reduce Rosacea. All you have to do is to blend cucumber, a glass of cream, mud; honey and a spoon of olive oil and after blending keep it in refrigerator. Now, when the mixture becomes cool apply it on your face like a face mask and this technique will not only enhance your beauty but also act as a cooling agent to cure Rosacea.